If you would like to join a live webinar event, you must be on a laptop or desktop running Windows 7 or above, or Mac OS X Lion (10.7) or above. Browsers compatible with live webinar events include Firefox and Chrome browser. To join an event, you will be required to download the WebEx application. You may choose to add an extension to Firefox or Chrome or run a temporary application. 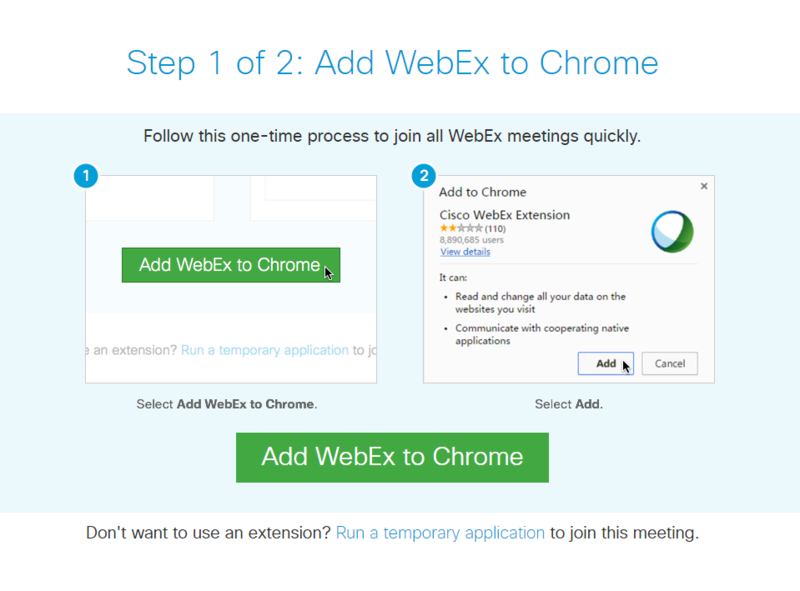 To add the WebEx extension, click the button "Add to Chrome" (or "Add to Firefox.") To run a temporary application, use the link at the bottom of the page after "Don't want to use an extension?" click "Run a temporary application."